Home » FIRE DOORS SAVE LIVES! You hear someone yelling, “Fire!” and your heart starts racing as you look for a way out. You look outside the door and see that the fire is right there! You run to the other exit and safely get out. Thankfully, the fire doors gave you the extra time needed to reach an alternative exit safely. 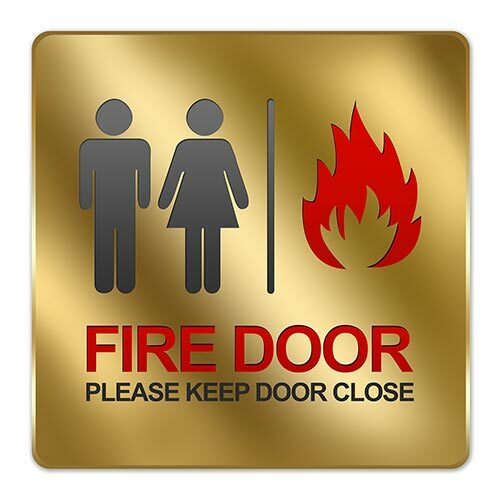 The primary reason for fire doors being installed in buildings is to save lives and property in the event of a fire. It is essential that a fire door performs by slowing the progress of a fire, so care must be taken both when purchasing, and installing fire doors. Fire doors are typically made of steel or solid wood construction and are provided with specially tested components including closers, latching hardware, and fire-rated glass view windows. A fire door has a fire-resistance rating used as part of a passive fire protection system to reduce the spread of fire and smoke between separate compartments of a structure and to enable safe departure from a building or structure. The most common type of fire door is an FD30, a fire door that will last a minimum of 30 minutes in a fire. FD60 (60 minutes) fire doors are most commonly used in commercial settings. Specially constructed fire doors can have a rating of 4 hours or more. Fire doors can vary greatly in design from functional door blanks through to attractive solid and glazed designs. A fire door must be fitted with approved intumescent strips which play a crucial part in achieving the fire door rating. When subjected to heat, the intumescent strips expand and seal the gap between the door edge and the frame. Intumescent seals can be fitted within the door frame or grooved into the door edge. An important thing to remember about fire doors is that they make up a very vital part of a fire resistant wall. Fire Resistant walls are there to stop the fire damaging the building and to give people time to get away. If the fire door is propped open, there is a very big hole in the wall. Fire doors are part of a building’s passive fire protection system, an essential requirement for all public buildings, offices and factories. The simple purpose of a fire door in everyday use is just as any other door. 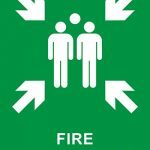 However in the event of a fire breakout, the fire door, unlike any other door, must then perform its prime purpose – to protect lives and offer protection to the remainder of the building and to other buildings. 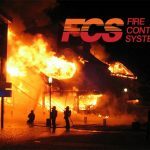 Call Fire Control Systems for more information.